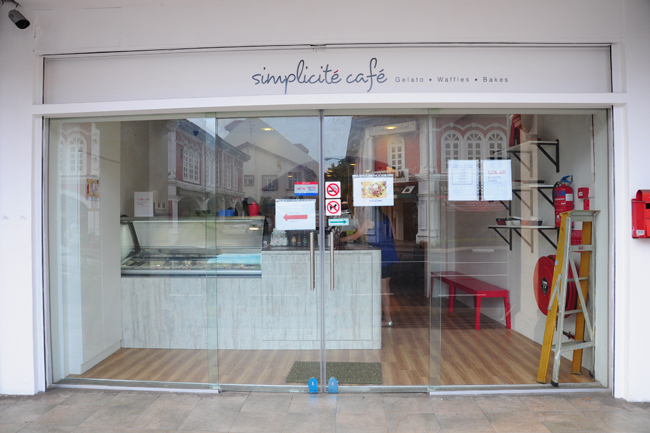 Simplicite Café has just hopped on the cafes bandwagon, situated themselves diagonally across Penny University along East Coast Road. Ah huh, another one. The owners believe that good food should not be too complicated, thus the name ‘Simplicite’ (pronounced as Sim-pli-ci-teh) which means ‘simple’ in French. Comprends pas? A Scandinavian approach was used for their interior design: simple, clean lines and earthly tone. As their name suggested, the offerings on the menu also looked fairly simple. 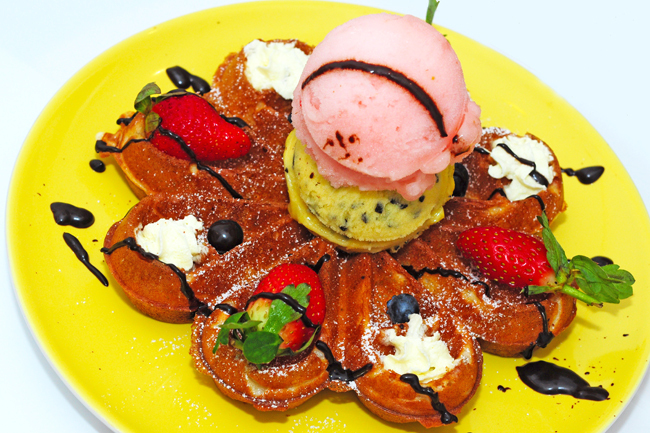 Ice cream, classic waffle ($8.50 with a single scoop of ice cream, $11.50 for double, $13.50 for triple), blossom waffle ($2.50 more than the classic waffle with the respective scoops of ice cream), coffee, tea, craft beer and bakes. 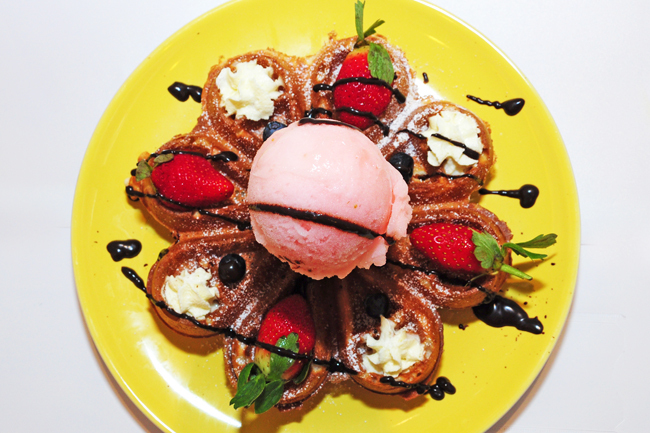 The waffle came in a shape of a blossom, with 8 equal segments or petals if you called it. Did they smell nice? Yes, but in a buttery, not in the flowery sense. Gelato flavours ranged from Nuts About You (Hazelnut), Chocolate Valrhona, Pistachio to Fior di Latte, which tasted like our daily cup of fresh milk. Real fruits were used in their sorbets with flavours such as Mango, Lemon, Banana, Passionfruit to the interesting “You Can’t Guess This” Cherry Tomato. We ordered the Blushing Lady, made up of strawberry and pink moscato. The refreshing taste kicked in but they could probably go easy on the sweetness as it reminded me of the strawberry jam I had this morning with my toast. The passionfruit sorbet was rich and citrusy with visible seeds for the added crunch. 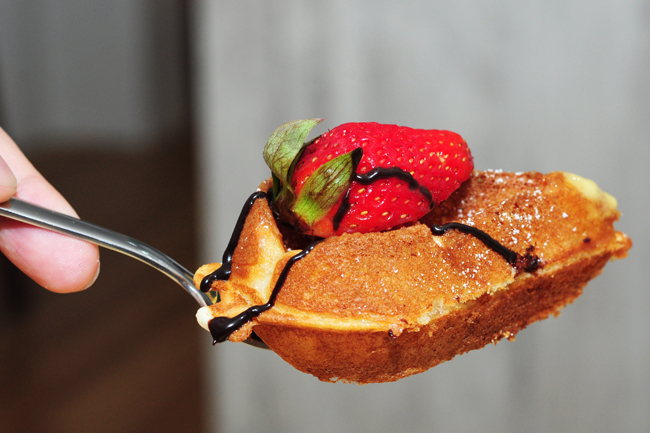 The waffle was crispy on the outside and fluffy on the inside. 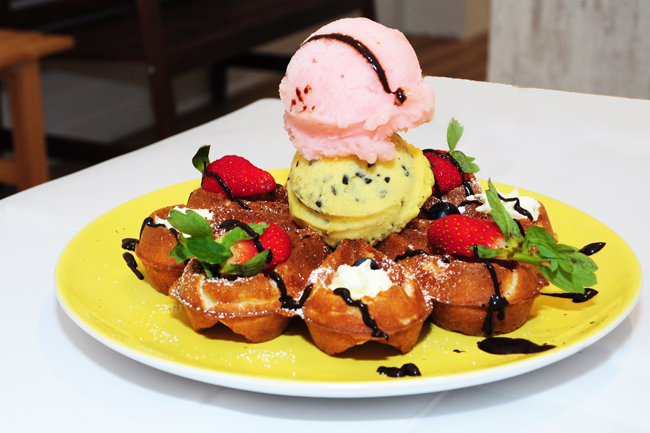 Even though Simplicite Cafe did not serve any mains on their menu, their gelato waffle might be able to satisfy your sweet tooth. The problem is… their location, 2.5km away from the nearest MRT station, unless you choose to drive there. 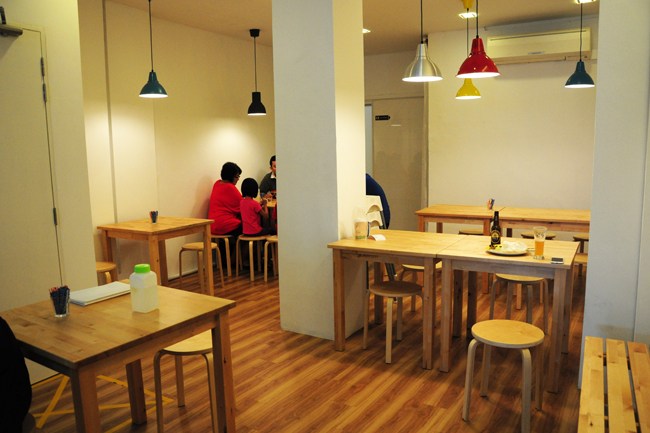 *By Daniel’s Food Diary Cafe Correspondent Nicholas Tan. The word is pronounced as SUM-plee-si-teh.